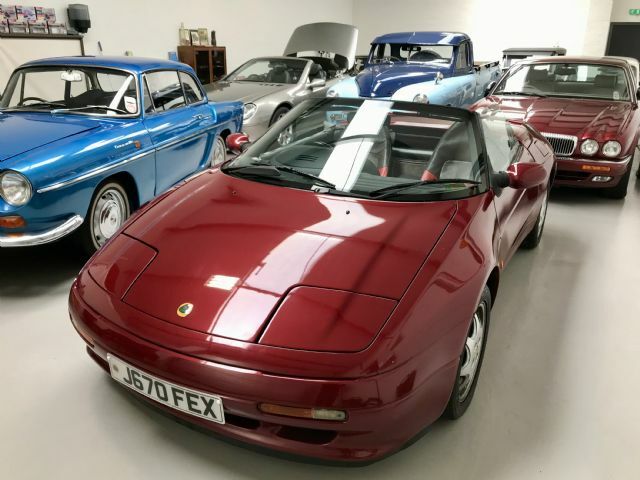 LOTUS ELAN TURBO SE - 1991 ONLY 67,000 miles. 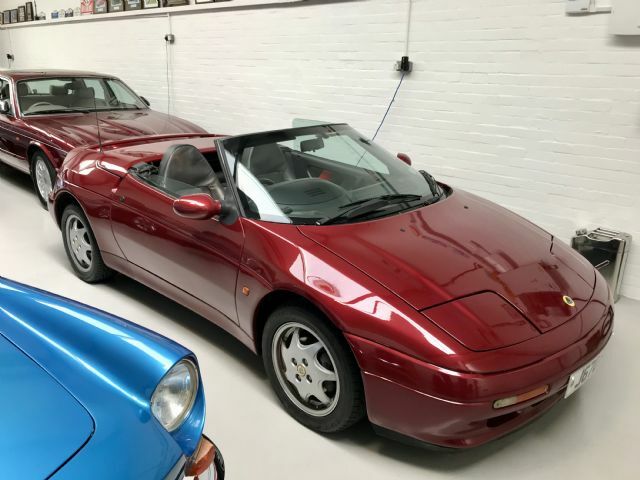 Finished in the rather rare Silk Red metallic with Full Grey/Red interior and Black roof. We acquired the car from a Private collection in Jersey and have now UK registered the car. Upon preparation the car has benefitted from the following new parts, Stainless steel exhaust, Cam belt/Pulley and Tensioner, Water pump, Full set of Toyo Proxes T1 performance tyres, Oils/filters, Aerial, Lotus overmats, Number plates, Anti freeze and Battery. 1 of 3855 Series 1 cars costing £19,850 when new along with the Leather option @ £780 and Metallic paint @ £620. With Elan M100 prices starting to rise we believe this to be a good future proof investment.